Hui Huang is a senior partner at Wanhuida Peksung IP Group. He holds a JD in trademark law from the China Academy of Social Sciences and a JD from the University of Strasbourg, France. Dr Huang is a multi-faceted IP counsel with stellar academic credentials on China’s trademark legislation and practice. He is a veteran lawyer who represents clients in all levels of courts up to the Supreme People’s Court in a wide variety of IP litigations, some of which have become landmark cases. Since joining private practice in 2002, Dr Huang has prosecuted and litigated IP rights, representing clients in complex matters before the nation’s IP rights administrative agencies and judiciary, protecting and defending clients’ interests and helping to advance China’s legal frontiers. On account of his expertise in trademark law, Dr Huang has been closely involved in the initial drafting and subsequent amendments to China’s major trademark-related laws, regulations and judicial interpretations, as well as regulatory documents. Dr Huang is also a prolific writer. Some of his recent works include Trademark Law (second edition), Zheng Chengsi IP Anthology ­– Trademark & Unfair Competition and Trademark Laws of Twelve Nations. 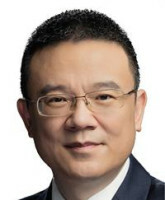 He translated the legislative part of the Intellectual Property Code of France (second edition) and has authored or co-authored numerous treatises published in Chinese, English and French, including “Is OEM use trade mark infringement?” (Managing Intellectual Property, China IP Focus, 2015) and “Tackling OEM infringement in China” (International Trademark Association Daily News, 2016). In 2013 Dr Huang was elected chair of the China Trademark Office Subcommittee of INTA’s Trademark Office Practices Committee for the 2014-2015 term. In 2015 he was elected chair of the International Association for the Protection of Intellectual Property (Chinese Group)’s Special Committee on Piracy and Counterfeiting for the 2015-2016 term. Dr Huang has been rated as an outstanding individual by World Trademark Review for nine consecutive years and has been included in Managing IP’s List of IP STARS in China since 2015.